Jonathan, the high priest, and the council of the nation and the priests and the rest of the Jewish people send greetings to their brothers, the Spartans. In former times, a letter was sent to the high priest Onias, from Areus who was then king among you, to say that you are our kinsman… And Onias showed honour to the man who was sent to him, and accepted the letter, which contained a declaration of alliance and friendliness. Incredibly, the Spartan king suggests that the Spartans are descendants of Abraham, too! Where does this bizarre belief come from? Sometime in the 2nd century BCE lived a Greek historian and sage named Cleodemus, sometimes referred to as Cleodemus the Prophet. He also went by the name Malchus which, because of its Semitic origins, makes some scholars believe he could have been Jewish. 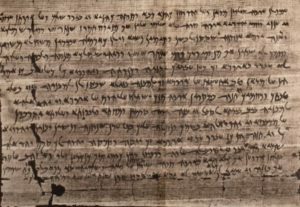 Cleodemus wrote an entire history of the Jewish people in Greek. While this text appears to have been lost, it is cited by others, including Josephus (Antiquities, i. 15). And Abraham took another wife, and her name was Keturah. And she bore him Zimran, and Yokshan, and Medan, and Midian, and Ishbak, and Shuach. And Yokshan begot Sheva and Dedan. And the sons of Dedan were Ashurim, and Letushim, and Leumim. And the sons of Midian were Ephah, and Epher, and Chanokh, and Avidah, and Elda’ah. 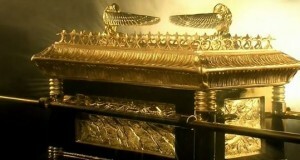 All these were the children of Keturah. And Abraham gave all that he had to Isaac, while to the sons of the concubines that Abraham had, Abraham gave gifts, and he sent them away from Isaac, while he was still alive, to the east country. Abraham had six children with Keturah, from which came at least seven grandchildren, and three great-grandchildren which the Torah names explicitly. The Torah then makes it clear that Abraham gave everything that he had to Isaac—including the Covenant with God and the land of Israel—while the others received gifts and were sent away from the Holy Land. Cleodemus suggests that Epher (or another child named Yaphran), the great-grandson of Abraham, migrated to Africa—which is where the term “Africa” comes from! (This is particularly interesting because Epher was the son of Midian, and Tziporah the wife of Moses was a Midianite, and is described as a Cushite, or African/Ethiopian.) Cleodemus states that Epher, Yaphran, and Ashurim assisted the Greek hero Hercules in one of his battles. Following this, Hercules married one of their daughters—a great granddaughter of Abraham—and had a son with her. This son was Diodorus, one of the legendary founders of Sparta! It appears that the Spartan king Areus was aware of this possible historical connection, and accepted it as fact. This connection may explain why the Spartans were so similar to ancient Israelites. 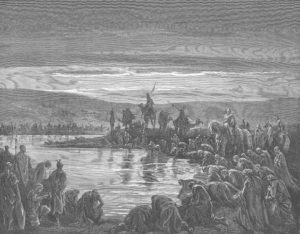 (Others have suggested that because the Israelite tribe of Shimon—known for being fierce warriors—did not receive a set portion in the Holy Land, many of them moved elsewhere and ended up in Sparta, or ended up in Sparta after being expelled from Israel by the Assyrians alongside the other lost tribes.) In his book Sparta, renowned historian Hugo Jones writes that the Spartans held in the highest regard a certain ancient law-giver, much like Moses the law-giver of Israel. The Spartans celebrated new moons (Rosh Chodesh), and unlike their Greek counterparts, even a seventh day of rest! Of course, the Spartans themselves were very different from other Greeks, particularly those in Athens, whom Sparta often battled. The Spartan form of government was different, too, not an Athenian-style democracy but a monarchy that governed alongside a “council of elders”, much like Israel’s king and Sanhedrin. Perhaps most similarly, the Spartans were known for their “stoic” way of life. The later Greek school of stoicism was modeled on the ancient way of the Spartans. This meant living simply and modestly, being happy with what one has, and most importantly, putting mind above body, and logic above emotion. This almost sounds like something out of Pirkei Avot, and is a teaching echoed across Jewish texts both ancient and modern. In fact, when Josephus tried to explain who the rabbis were to his Roman audience, he said that they were Jewish stoic philosophers! 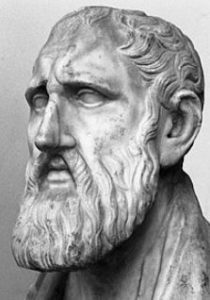 Bust of Zeno of Citium (c. 334-262 BCE), founder of the Athenian school of Stoicism. Zeno taught that God permeates the whole universe, and knowledge of God requires goodness, fortitude, logic, and living a life of Virtue. Undoubtedly, the most famous story of the Spartans is the Battle of Thermopylae. Around 480 BCE, the Persian emperor Xerxes invaded Greece with a massive force. Xerxes first sent messengers to the Greek city-states to offer peaceful surrender. According to the historian Herodotus, Sparta’s king Leonidas told the messenger: “A slave’s life is all you understand, you know nothing of freedom. For if you did, you would have encouraged us to fight on, not only with our spear, but with everything we have.” Spoken like a true Maccabee. This statement almost makes Leonidas seem like a monotheist. Indeed, the Spartans worshiped Ares—the god of war—above all others. Interestingly, the Torah commonly describes Hashem in similar military terms, like a great warrior riding a merkavah or chariot, as a “God of Legions” (Hashem Tzva’ot), and even as a “Man of War” (Ish Milchamah, see Exodus 15:3). Of course, the Spartans had their abominable statues and idols, which is perhaps the greatest distinction (and a critical one) between them and ancient Israel. King Leonidas went on to assemble just three hundred brave men to face off against the massive Persian invasion. Although they ultimately lost, the Spartans fought valiantly, inspired their fellow Greeks, and did enough damage to hamper Persian victory. This story of three hundred, too, has a Biblical parallel. The Book of Judges records a nearly-identical narrative, with the judge Gideon assembling three hundred brave men and miraculously defeating a massive foreign invasion. The similarities between Greek myth and more ancient Jewish texts are uncanny. Hercules was a mighty warrior whose first task (of twelve) was to slay a lion, like the mighty Shimshon who first slays a lion in Judges. Deucalion survives a great flood that engulfs the whole world as punishment from an angry Zeus. Like Noah before him, Deucalion has a wife and three sons, and like Noah, Deucalion is associated with wine-making (the root of his name, deukos). Pandora’s curiosity brings about evil just like Eve’s, while Asclepius carries a healing serpent-staff like Moses. Aristophanes even taught that Zeus first made man as male and female in one body, and later split them in half, just as the Torah and Talmud do. Roman mosaic of Hercules and the Nemean Lion, and a Roman fresco of Samson and the lion, from the same time period. In Jewish tradition, the Greeks come from the Biblical Yavan, son of Yafet (or Yefet or Japheth), son of Noah (Genesis 10:2). Yavan is the same as the Greek Ion (or Iawones), one of the Greek gods, and Ionia, referring to one of its most important regions, and the dialect of the great Greek poets Homer and Hesiod, as well as the scholars Herodotus and Hippocrates. Meanwhile, the Greeks worshipped Iapetus (same as Yafet) as a major god. Iapetus was the father of Prometheus, the god who supposedly fashioned man from the mud of the earth. So, not surprisingly, the Biblical Yavan and Yafet are firmly in the Greek tradition as well. On Chanukah, we celebrate the Jewish victory over the Seleucids. 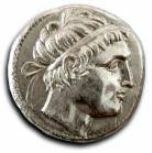 Not of the Greeks as a whole, but of a relatively small faction of Syrian Greeks, far from the Greek heartland which always enjoyed a good relationship with Israel, starting with Alexander the Great and through to the Spartans and Maccabees. 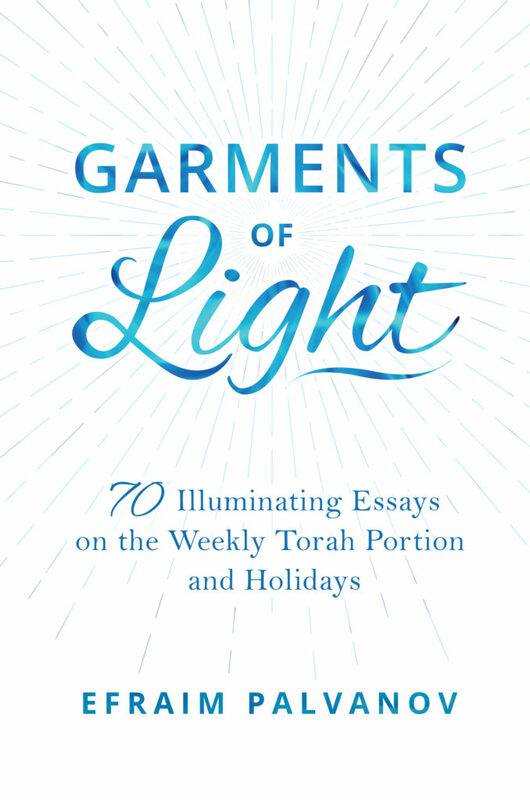 Seventy revealing essays that take you on a deeper journey through the Torah and Jewish holidays. Collected from some of the most popular essays posted on this site over the years, newly revised and edited, and conveniently organized by parasha and holiday. Makes for a perfect week-by-week reader, dvar Torah source, or Shabbat and holiday companion. Click here to get the book. This entry was posted in Archaeology & History, Holidays, Mysteries & Origins and tagged Abraham, Adam and Eve, Africa, Ancient Greece, Ares, Areus I of Sparta, Aristobulus of Alexandria, Aristophanes, Asclepius, Ashurim, Assyrians, Athens, Battle of Thermopylae, Biblical Geneology, Book of Judges, Book of Maccabees, Chanukah, Cleodemus Malchus, Cushite, Deucalion, Diodorus, Epher, Gideon, God's Chariot, Greek, Greek Philosophy, Hagar, Hercules, Herodotus, Iapetus, Ionia, Japheth, Jonathan Maccabee, Josephus, Judah Maccabee, Keturah, King Leonidas of Sparta, Kohen Gadol, Lacedemonians, Lost Tribes of Israel, Maccabees, Matityahu, Mordechai, Noah, Numenius of Apamea, Onias, Pandora, Persian Empire, Plato, Prophecy, Rosh Chodesh, Samson (Shimshon), Sanhedrin, Seleucids, Septuagint, Shabbat, Shem, Sparta, Stoicism, Syrian Greeks, Tribe of Shimon, Tzipporah, Xerxes, Yaddua the High Priest, Yaphran, Yefet, Zeus on December 18, 2017 by Efraim Palvanov.